Ever wonder what the future of space tourism will be? 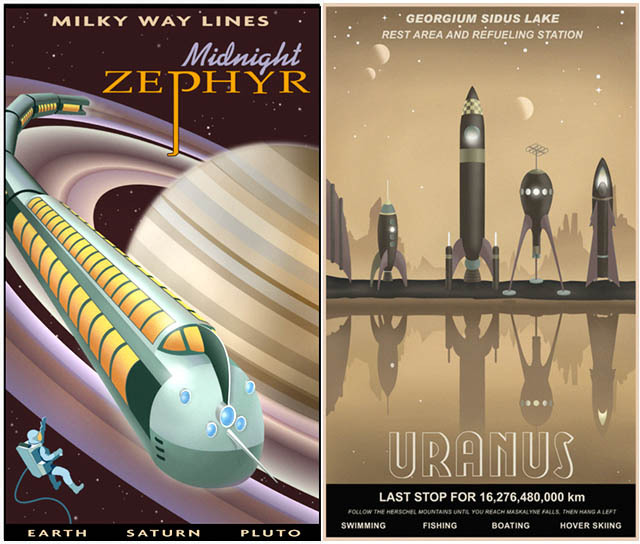 This series of posters (from the same collection as last week's spaceport illo) in neo-retro style clearly presents your options. 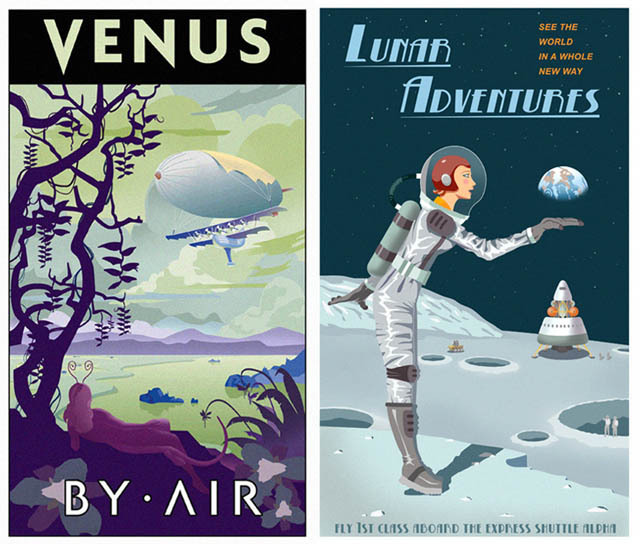 Although I found these originally on the very cool DarkRoastedBlend page, I am more pleased to find that the original artist, Steve Thomas, sells them as posters (at reasonable prices, some at $15 or less!) For those of you too young to know what a 'poster' is, it's like your desktop wallpaper, only made out of paper and hung on the sides of your cube or bedroom. I like the lunar tourist is doing the cliched 'giant pose'. Oh heck, it's what I'd do if I were on the Moon, and someone else had the camera. It's worth noting that the Mars one isn't too far off the (potential) mark. At least as far you know. Yes, we astronomers put up with lots of puns, most about that 7th planet, but this was one of the more subtle. My favorite bit? 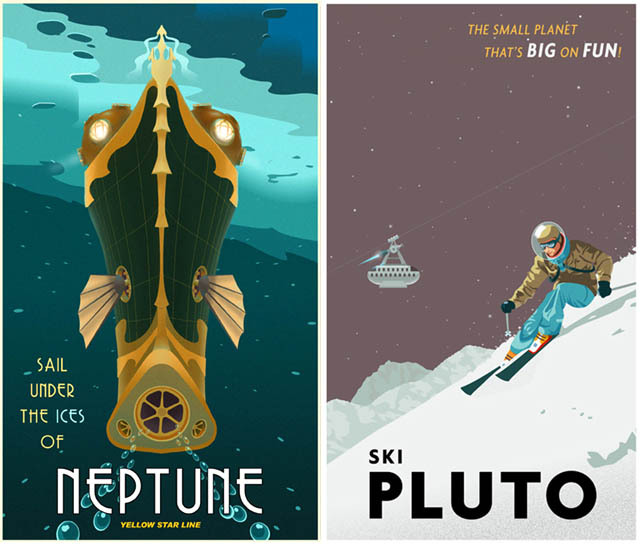 That Pluto is included as a destination. As one t-shirt put it, "Don't worry Pluto, I'm not a planet either." Screw the flying cars idea, I want my flight to Luna!! !